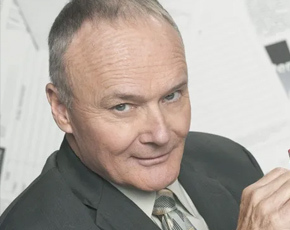 Creed Bratton’s talent for acting and music began at a young age. Born in Los Angeles, he grew up in the small town of Coarsegold near Yosemite, California. He attended the College of the Sequoias and Sacramento State College as a drama major. He began playing the guitar professionally as a teenager followed by a whirlwind travel experience throughout Europe in his twenties with the band The Young Californians. As a member of the popular rock group The Grass Roots in the 1960s, Bratton appeared on numerous television shows, as well as in the Doris Day movie, “With Six You Get Egg Roll.” He parted ways with the band in 1970, but continued his passion and has released six solo albums up to the present day. While honing his acting career, Bratton also worked in front of the camera and behind the scenes as prop man, boom man, composer and grip. His film credits as an actor include “Terri”, “Mask” and “Heart like a Wheel.” On television, he has appeared on hit shows such as “The Bernie Mac Show”, “Eight Is Enough” and “Quincy.” He was cast in “The Office” doing a parody of his life as a former rock star. During his years on the series, he also appeared in several short and independent films which were accepted in numerous festivals. He still performs in clubs as a solo performer. Previous PostPrevious American Pie fans rejoice! Shannon Elizabeth joins NFCC lineup! Next PostNext Great Scott! Christopher Lloyd joins NFCC 2019 lineup!